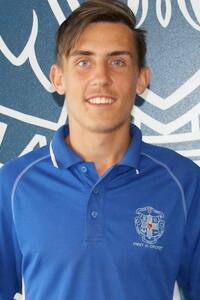 "Liam is the cousin of Geelong's Andrew Mackie, who is a Sacred Heart boy as well. We didn't see a lot of Liam because of school footy but he won the medal in the state school footy final. Good decision maker and uses the ball well off half back but will need to fill out in the coming years. Can create a path out of defence and has upside," - Glenelg coach Matthew Lokan, Inside Football, November 2016.